March 6 (UPI) — Camila Cabello spent her 21st birthday with her parents. The singer shared a video Monday on Twitter of her mom and dad singing an over-the-top rendition of “Happy Birthday” as she celebrated the occasion at home. 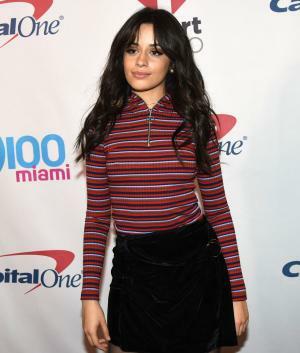 The clip shows Cabello dressed in a sweatshirt, pajama pants and crown as she holds onto two bunches of balloons. The star and her family are about to enjoy a white two-tier cake with a bow. Cabello was born to Alejandro and Sinuhe Cabello in Havana, Cuba, in 1997, and immigrated to the U.S. when she was six years old. She recalled her family’s struggle to adjust in an interview with Billboard in February 2017. “It we had food to eat, a roof over our heads and I was going to school, that was enough,” she added. Cabello came to fame with the girl group Fifth Harmony, and has since pursued a solo career. She will promote her debut studio album, Camila, on the Never Be the Same tour, which kicks off April 9 in Vancouver, B.C.